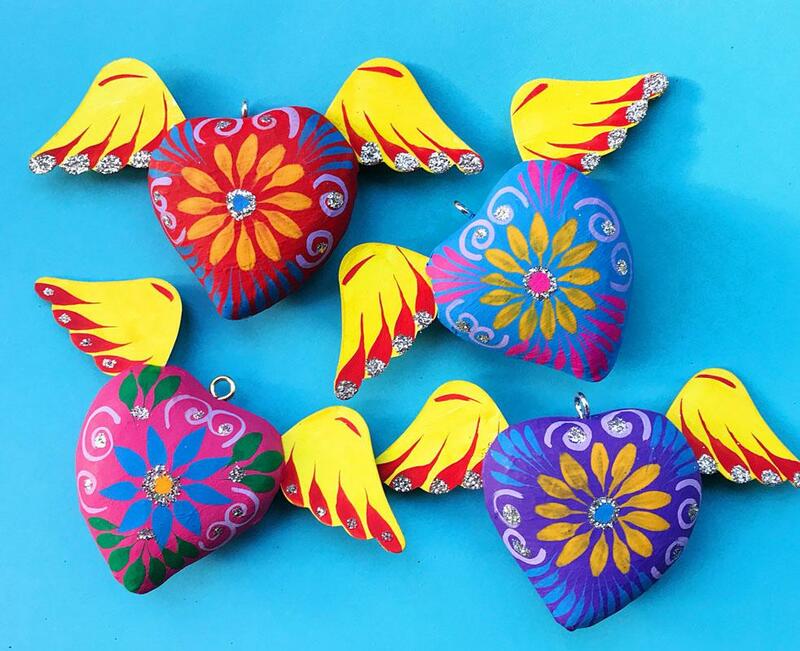 Flying Corazon Heart ornaments, handmade in Mexico. Made from paper mache and card, embellished with glitter. With a ring, ready to hang. Assorted colours - pink, green, orange, red, purple, blue. 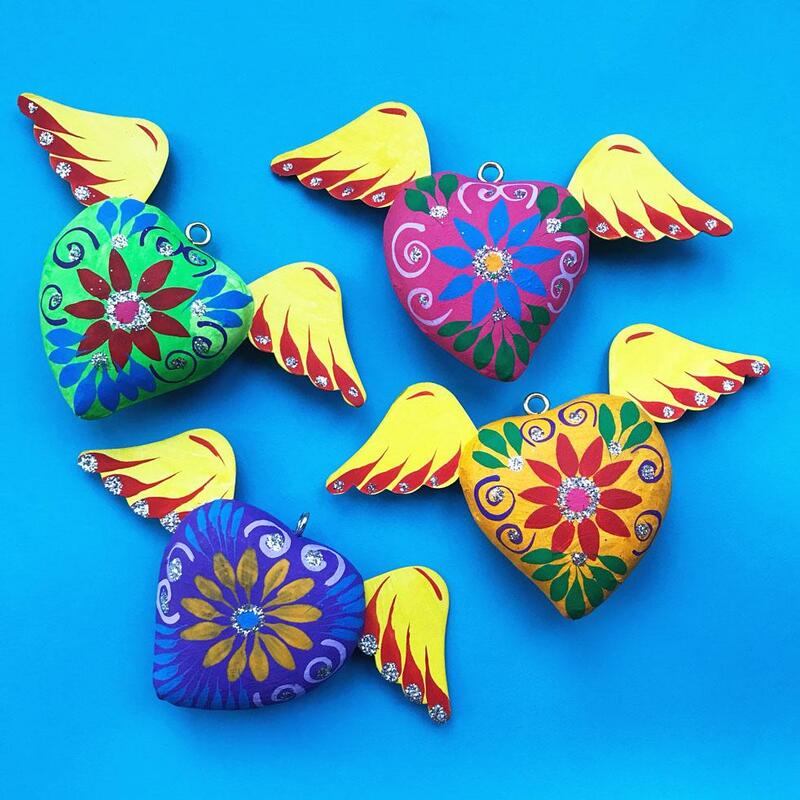 You will be sent one at random but if you have a preference please email us at vivalafrida@hotmail.co.uk after ordering and we will try and accommodate.